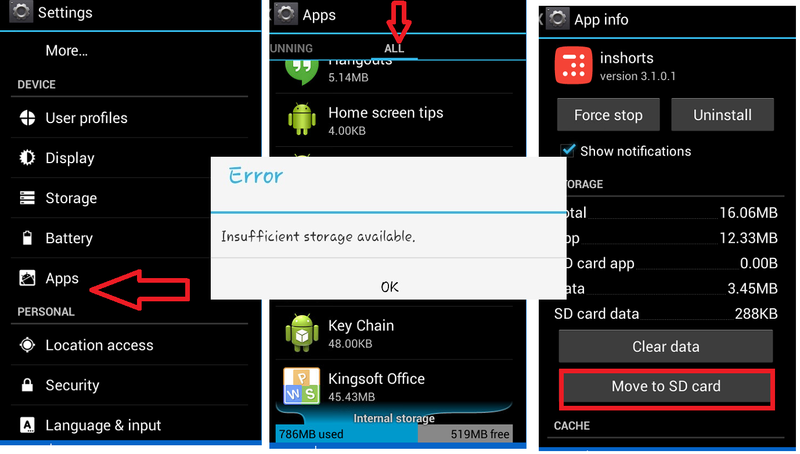 When we get insufficient storage error in phone or tablet we get irritated, there may be other tricks to solve this problem by rooting or installing any third party apps, but here I will show you easy and simple way to make same phone internal storage space. Go to phone “Setting” top on “App or App Manager” negative on “All Apps”, open apps and check for “Move to SD Card” is there available, than tap on “Move to SD Card”, do this to all apps, some apps you can not move to SD card, because they may be system app or app developers restrictions. By doing this you can make some space in your phone.